I owe buckets of thanks to award-winning children’s book author and my friend Ruth Vander Zee for contributing today’s hands-on WWW: "Connecting with Your Character Emotionally." Ruth’s hands-on exercise will help you probe your heart so your character’s story resounds in readers’ hearts. 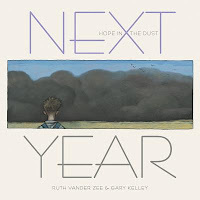 Ruth’s newest book, NEXT YEAR (Creative Editions, 2017) is the story of one young boy who finds a way to endure the next four years of dust storms and drought following the April 14, 1935 dust storm known as “Black Sunday.” Like the characters whose stories Ruth tells in her other works - ERIKA’S STORY, ELI REMEMBERS, ALWAYS WITH YOU and MISSISSIPPI MORNING, Calvin and his family face their tragedy while clinging to hope and acting courageously. 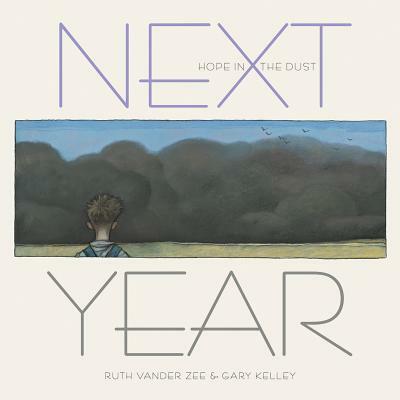 Throughout the book, Ruth’s lyrical text is paired with the gorgeous artwork of Gary Kelley, giving readers a moving and memorable reading experience. A resident now of Coconut Grove, Florida, Ruth believes her love of stories was kindled at the kitchen table of her childhood home on the south side of Chicago. Her father told stories and had the ability to make each day’s activities sound like an ongoing novella. She considers herself a Late Bloomer, deciding to earn a college degree in education at the age of 40, then later to write stories for children. 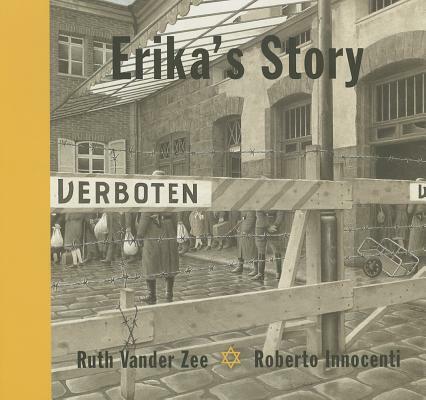 Those two decisions proved life-changing, not only for Ruth, but for legions of young readers, the fellow children’s book writers with whom she generously shares her expertise and experience and all who come to know her. 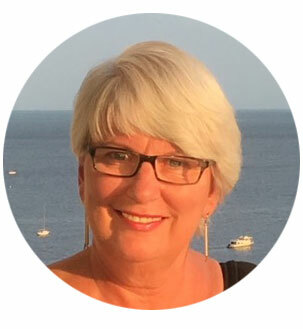 In today’s WWW below, Ruth shares how she delved into the characters in her stories in ways she would have never dared. Thank you, Ruth, for gifting us with an exercise to get both us and our readers feeling. P.S. Hours are running out to enter our Giveaway for the 2018 Children’s Writers and Illustrator’s Market! Click here to enter if you haven't already. When I was writing my first book, I received this critique: “You are writing an amazing story, but I don’t feel anything.” That was the worst and best critique EVER. It got me delving into the characters in my stories in ways I would never have dared. I had a habit of holding my characters off a bit. It’s safer that way. Because, truth be told, finding the hearts of my characters meant finding myself in those characters. And that brought me to places I had legitimately forgotten, chose to forget, avoided, and dismissed as unimportant. However, when I dug up that stuff, my characters became alive. I probably saved myself a lot of counselling fees. For instance, when I was writing Erika’s Story, the protagonist told me that “a woman picked me up and cared for me.” If you know the story, this child was thrown from a train. The woman she mentioned took her home, cared for her and raised her to adulthood. But for her to dismiss her by calling her “a woman” gave me pause. To write that one paragraph, I began the exercise I am sharing today. I have done this same process with every character I have written. Picture book writers have very few words to convey a lot. Every word has to count, drive the story forward, and deliver the emotional connection which makes a story great. I give myself at least a half hour. Go to a quiet place with a pen and piece of paper. Close your eyes, take a deep breath, and sit quietly for a moment. Then begin using your five senses. Go the place you are trying to discover. In the case of my “woman,” I went to my grandmother. She was my mother’s stepmother. She always did the right thing for my mother but my mother had a deep longing to know the love of her real mother. There were many reasons for that. So I went to my grandmother’s living room where we often sat when visiting. I started with what I could see. With eyes closed, I looked around the room, stood in the middle of the room and turned around several times taking everything in, from the horsehair sofa to the peppermint dish, to the people in the room, wallpaper on the walls…everything. I took a long time doing this. Turned this way and that and made sure I didn’t miss anything. Then I went to the smells…dirty diaper on one baby, latent cigar on my grandfather. The tastes in the room…the peppermints, the cookies my grandmother always baked. The touch…the hot tea pot, the feel of the covering on the sofa if I ran my hand one way or the other, the silky hair of my cousin. The sounds…chattering children, the conversations of a lot of people all happening at one time, my grandfather’s teeth clattering in his mouth. This can take at least a half hour. When you feel you have taken everything in, open your eyes and immediately write down, with no restrictions, what you have just experienced through your senses. Write fast and fill your paper. When you have put all those memories on paper, go through what you have written and cross out any words which are unimportant. Leave all important verbs, nouns and adjectives. Then take those words and write them in a list. What you are left with is a distillation of a memory you may have never thought of or one that lingers in your heart every day. You have essentially written a poem of that event. What I discovered that day…my grandmother was not in my memory. I’m sure she was there but I could not place her anywhere in my memory. Her peppermints were there. Her cookies were there. I’m sure she brewed the tea. But she was not there. 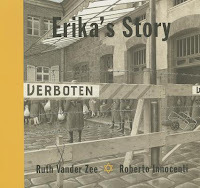 That experience informed how I wrote the one paragraph about the woman who picked up Erika. I sensed her doing right by a girl she did not necessarily love but to whom she gave a lot of care. Her resoluteness in continuing the care. How that care could be misinterpreted as nice but not filling an emotional void. There are many layers in that one paragraph and all need to be said with the greatest economy of words while still delivering an emotional connection to anyone who has experienced something similar. You are not writing what you lived through but what you lived through is informing your writing. It gives authenticity and honesty to your writing. This also works particularly well if you are needing to write authentically about a feeling. For instance, if you remember a time you felt sad and go to the place you felt sad and walk through your five senses, you will have layers of information with which to write.